Investors now have more choice than ever when it comes to investing in gold. From pension plans to savers plans, there is something to suit every requirement. Regular gold investment plans are a great way to accumulate gold over a sustained period of time while spreading both the cost and risk that comes with investing in precious commodities. Here are several reasons why you should consider investing in a regular investment plan as opposed to just purchasing gold in one lump sum. quantities than you would otherwise be able to. If you’re new to investing or you don’t have a huge amount of funds, then a regular investment plan can help you spread the cost of buying gold over a longer period, so you don’t need to have the total cash up front. Generally, dealers will advertise a minimum set price you are required to invest each month, however, this could be as little as £100. One of the many reasons people chose to invest in regular investment plans, is that it allows them the freedom to increase or lower their investment as their circumstances change. For example, you may want to gradually increase your monthly investment over time as you’re pay increases, or perhaps you’ve finished supporting your children through college or finished repaying loans / mortgage and now have additional funds to invest? A regular gold investment plan allows you to be versatile in your investment and you can stop paying into it at any time should you wish. One of the most difficult aspects of investing in gold is trying to judge the best time to invest so as to maximise your profits. Investing in a regular gold investment plan takes away the difficulty of having to try and predict the market. You avoid buying all your assets when the market is at its peak and by buying gold over a sustained period you end up paying a more balanced price. This is known as unit cost average saving. 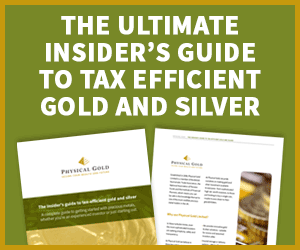 Dealers will often offer customers incentives to enter regular gold investment plans with them. This may include lower premiums than if you were buying gold as a one-off purchase. A lot of dealers allow you to set up a monthly automatic payment or standing order with them. This way you can build up your gold portfolio without the worry of having to remember to order each month. Our monthly saver scheme is a great way to purchase gold on a month-by-month basis. We can source the best quality coins at the best possible prices, and our scheme is individually tailored to your needs, depending on the amount you wish to invest. We even post the coins direct to your door. For more information, please contact us on 020 7060 9992.